After a soft opening in St Tropez this summer, Ginette NY has been revamped to unveil its new golden, chic and minimalistic collection sticking to their DNA. Born in Marseille, South of France, designer Frédérique Dessemond studied art history at the Sorbonne university of Paris. A few years later, winning the lottery she moved to New York, her Green Card in hands, which marked the beginning of her success story. The French jeweler launched GINETTE NY in 2002 in the city that never sleeps. Her first collection, foremost sold in the streets of Nolita, quickly catches the eye the buyer from Calypso, a fashion and jewelry store in New York City. Growing up in « la Cite Radieuse » an architectural complex designed by French architect Le Corbusier – Frédérique Dessemond draws her inspiration from vintage and architecture styles with the aim to create precious jewels for everyday life. Her signature? A delicate line of gold monogrammed necklaces, that most women envy terribly. 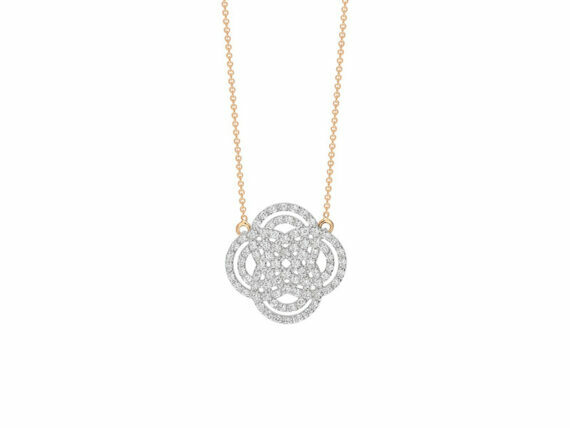 And it does not take too long to fall in love with the baby diamond purity necklace, a rose gold chain set with a flower design inspired by the infinity sign and paved with glittering diamonds. 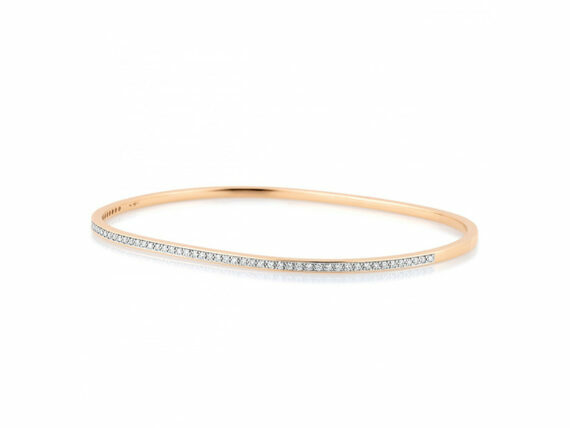 When she first started 15 years ago, Ginette NY was one of the first jewelry brands offering a variety of fine pieces made of solid gold crafted in the most delicate way. As a matter of fact, she exclusively worked on gold, not even setting diamonds or any other gemstones. Through GINETTE NY Frederique Dessemond offered women an alternative between costume jewelry and high jewelry. Years passed and fine jewelry brands saturated the jewelry market offering way too many options to a clientele that once did not know where and what to buy. As a revival of the brand, GINETTE NY was re-launched this summer, introducing new materials and stones, such as diamonds, rose gold, onyx and pearls. A subtle balance between luxury and understated pieces, vintage inspiration and pure lines. The full collection includes delicate bangles, sparkling drop-down earrings, tiny studs and pendants, bringing retro charm to your every outfit. After New York in 2007 and Paris in 2015, Frédérique Dessemond has opened her third shop in St Tropez last summer. Designed by the architect Isabelle Stanislas (the same architect who designed Yvonne Leon’s flagship store in St Germain) GINETTE NY’s jewelry shop is staged as a « jewelry bar » concept, enabling customers to discover the collections in a casual and personal way. Not only speaking to women, the French designer offers contemporary jewels for men « Ginette Loves Men » and kids « Little Ginette ». A collection that has yet to be discovered.